WindowFX is a unique and revolutionary enhancement utility that lets you personalize the operating system and maximize your computing experience. WindowFX is able to change the behavior of the windows and the desktop icons by adding an unprecedented number of special effects. It simply brings you polished and reliable window enhancement capabilities. 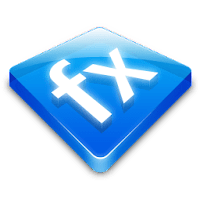 Disclaimer: Direct downloads for the lastest version of WindowFX 6.03 are provided by the official software's author, we can't guarantee safety, availability or download speed. Moreover, we don't and we won't provide any pirated/illegal versions or tools. We recommend you to avoid it as these methods can harm your device. If you like the software, buy it to support the developers. (We provide software discounts for many worldwide brands).